When the 5 Star Riverfront Peninsula Hotel in Bangkok offered to host us after our 10-mile run as part of the ultra-luxury heaven in our “Heaven and Hell” weekend Sarah and I were very excited. In the past, most of our retirement adventures have been in great to experience places, but let’s just say more downscale venues. From the time we boarded the Peninsula’s private boat to cross the Chao Phraya River to when we left after famous Peninsula Bangkok Spa Treatment, everything was truly first class. Located on the Thonburi side of the Chao Phraya, directly on the riverfront, near the BTS SkyTrain Station Saphan Taksin . There is an entire fleet of antique, open air teak boats to whisk you across the river to the hotel’s private dock. We never had to wait more than five minutes for a boat and riding on these little boats with their gabled roofs is a charming part of being on the river. 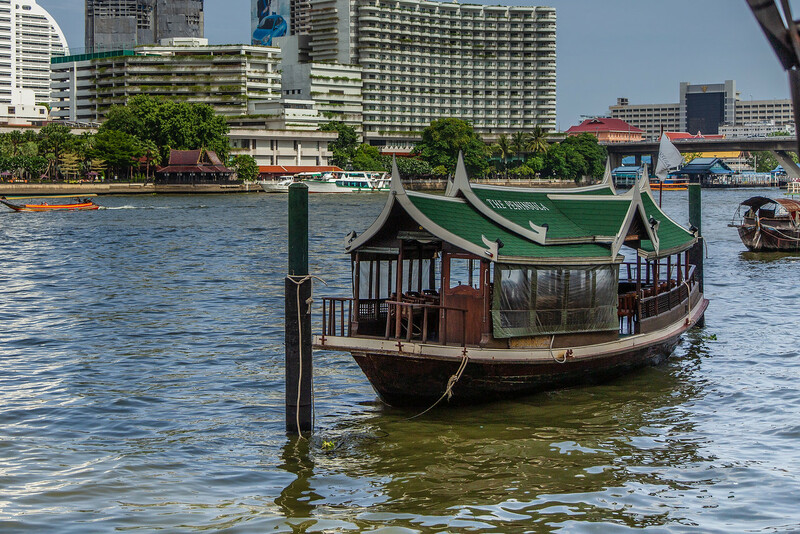 Although the boats are more fun, the hotel can be easily reached by car on the Thonburi side of the river. 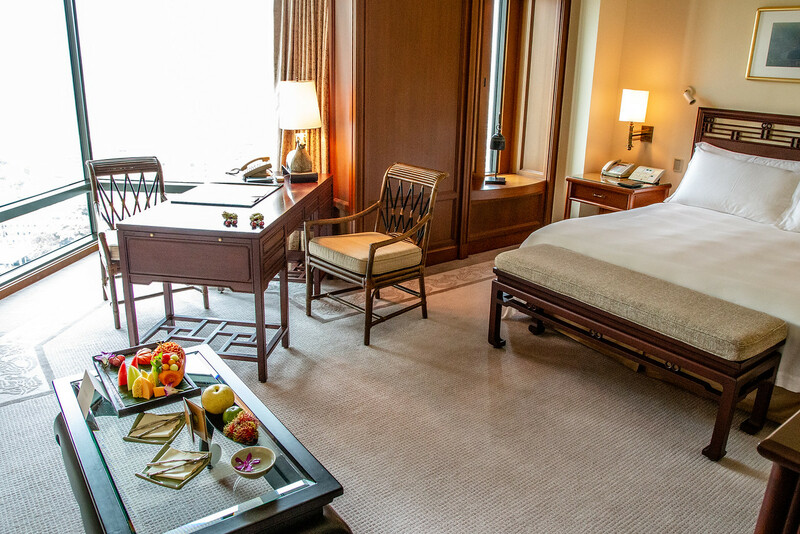 All of the rooms at the Peninsula Hotel BKK offer floor to ceiling windows with views of the Chao Phraya. They are extremely luxurious but without an ounce of pretention. They are richly furnished in old world style with Thai silk-clad finishes, huge marble bathrooms, with separate bath and luscious shower and a dressing foyer with a walk-in closet. The rooms have state of the art sound systems with multi-disc CD/DVD players and iPod docks. There was an executive style desk with a fax machine, high speed Internet connections, and a charging station. From the fluffy towels, the zillion thread count sheets and one of the best mattresses I have ever slept on, everything was perfect. There is even a bedside control panel to dim the lights and open and close the drapes. River views are everywhere, even from the hotel’s three-tiered swimming pool. There is an amazing spa, that we were invited to use, and a beautiful gym. The breakfast buffet had every imaginable cuisine and of course could be enjoyed at a table on the river front. 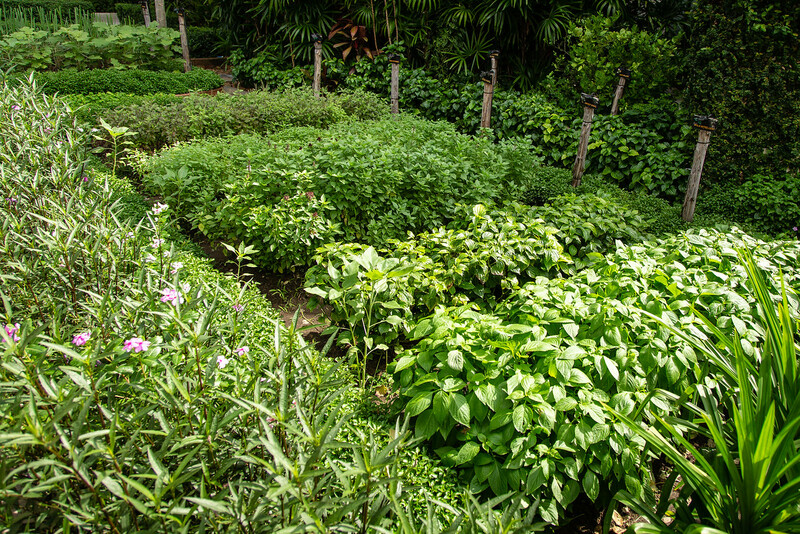 There is also a beautiful garden where the hotel chefs grow herbs for the hotel’s amazing restaurants. There is even a boat to take you to the nearby entertainment district, the Asiatique Riverfront Market. After the boat dropped us off at the private dock we were greeted, by name (don’t know how they did that, we hadn’t yet introduced ourselves) by the hotel staff. Everyone had friendly quiet smiles and was available but not hovering or intrusive. The concierge, who also greeted us by name as we left for an evening out, asked us if we had any special requests. Because the hotel seemed to anticipate our needs we couldn’t imagine wanting more. 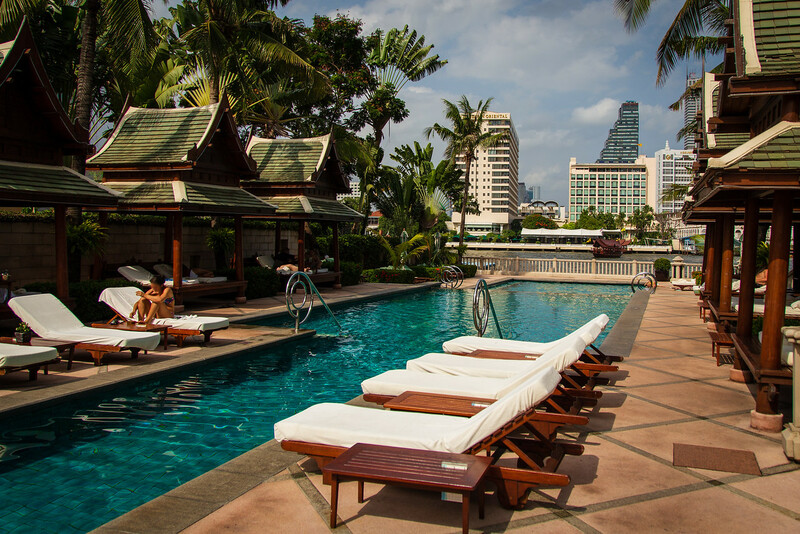 Even though the Peninsula has only been in Bangkok for fifteen years, it has become a landmark for luxuriousness and an oasis from the busyness of the city. It manages to balance fantastic richness without feeling pretentious. Everything about the experience exudes a sense of peaceful and quiet elegance. What a nice hotel! That pool looks terrific, especially after a day in Thailand’s humidity! Oh it was a FANTASTIC break! The Spa was amazing as well. Sarah wrote a post about that coming soon.